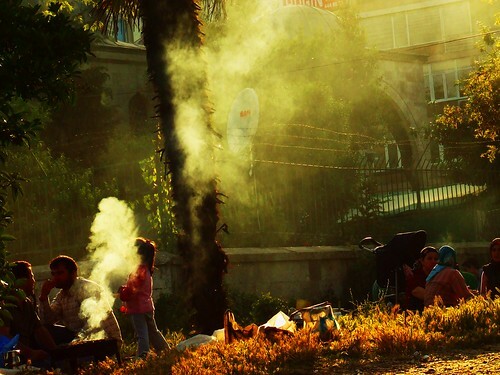 Children playing everywhere, families in the parks eating fish that the men just caught in the Bosphorus strait, busy markets and streets, and smoke of waterpipes all around you. Istanbul is not only a very beautiful city, but foremost a very active one with a lively outdoor culture. It breathes life in every corner you find. 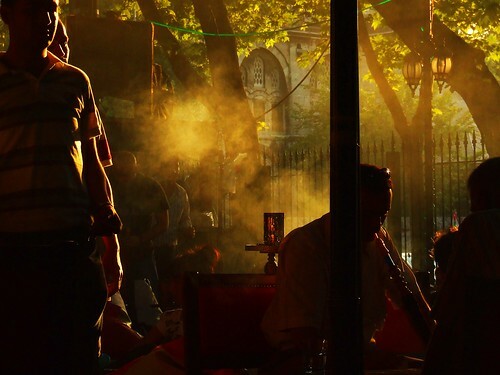 You don’t have to go far to discover this, to sense the Istanbul atmosphere. Its people are very alive pretty much everywhere. Within a minute that I walk out of the door of my new place I can easily find someone smiling, a shopkeeper saying hello to me or people speaking to each other. Children look very happy all the time and sometimes don’t stop laughing; so full of life they are. Although things are not easy for all living here, the Istanbul atmosphere enables most to enjoy their lives and that of others fully. It is an incredible place with real life happening all over, people surviving from as little they have, and a touch of magic if you look deeper. An easily accessible place with a lot of activity and magic is the Bosporus riverside. Here you’ll find many boats, people fishing, families barbecuing and big waves playing at the shore with children who scream joyfull back at the splashes of the water. As I went for a long walk along the Bosphorus sea I observed how people here experience an ordinary Sunday afternoon. I have seen them taking one of the dozen ferries, relaxing in a small harbor and fishing all over the shore, barbecuing their fresly caught fish, and sitting on one of the many terrasses, enjoying their waterpipes, having some fruit and playing chess or backgammon. Though, I am taking things fairly easy here as it is such a huge place that I can easily get lost and find myself too overcrowded with input and impulses. There is enough to do and extremely a lot to explore. No need to hurry at all, Istanbul has so amazingly much to offer that it would be a waste to race through it. Let’s first breath it. Welcome to Turkey! I look forward to reading about your adventures. This all sounds (and looks) great! I was wondering though, are you staying with one couchsurfing-host, or are you changing places there, too? It sounds to me that the place is already taking your heart bit by bit, and seeing the pics I can only agree sofar. It looks georgious, such a shame that it’s a bit to far to go by car for a few days (for us). You can check it when you have free time.